Find Edisto Beach, SC Homes for sale. View Photos, Maps and MLS Data Now! Beachfront - Ground level storage room and separate laundry. MLS#19011101. Carolina One Real Estate. 3BRs open to the porches, & 4th BR has easy access to back door. Great rental potential! MLS#19008659. Edisto Sales & Rentals Realty. Hurry and reap the rewards of the summer income! Fully furnished ! Sunday turn day. MLS#19007389. Edisto Sales & Rentals Realty. The ocean views from this room are ENDLESS! Other notable MLS#19007196. Edisto Sales & Rentals Realty. 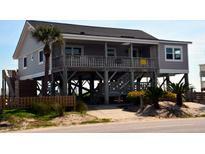 Beach Walk - Rental income is $50,000+ per year (heated pool)!DON'T MISS THIS BEAUTIFUL BEST BUY! ! MLS#19006419. Carolina One Real Estate. Jungle Shores - See feature list.Enjoy gatherings in the generously-sized living/dining MLS#19006119. Atwood Vacations. Ocean Ridge - One spacious bedroom and full bath on main level. MLS#19005987. Carolina One Real Estate. Offered furnished w/few exceptions. Come See! MLS#19005215. Edisto Sales & Rentals Realty. Beachfront - Rental potential $50,000+/yr. THE BEST BEACHFRONT LOCATION-w/VINTAGE COTTAGE MLS#19004982. Carolina One Real Estate. Beach Walk - Being sold mostly furnished see exceptions list in the documents. MLS#19004827. Atwood Vacations. 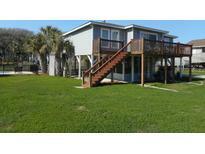 Beach Walk - There's a privacy fence on the left & spacious fenced back yard for the pooch! Furn negotiable. MLS#19004440. Edisto Sales & Rentals Realty. Second Row - This Is It! Best Floor Plan, Location, & Price! ! MLS#19002744. Carolina One Real Estate. Beachfront - This superbly built home includes Hardiplank siding, metal roof, high-impact windows and Anderson sliding glass doors on the exterior, as well as endless interior features such as Brazilian teak floors, 9' ceilings on first floor, great room columns, gourmet kitchen with high-end stainless appliances, custom cabinets, RO system and quartz countertops, gas fireplace, surround sound, exterior MLS#19002453. Edisto Sales & Rentals Realty. 2 of these rooms are oceanfront. MLS#19000835. Carolina One Real Estate. Beneath the home is room for cars,boat large owner storage room, washer/dryer, hot/cold shower Home has been on a weekly rental for over 20 years w/stellar rental history. MLS#19000399. Edisto Real Estate Company, Llc. Beachfront - Recent major renovations-laminate floors on 1st floor, new curtains & furnishings, fresh paint inside & out, new bathroom vanities/fixtures/tile, several new sliding glass doors & more. New roof 2016. MLS#18033470. Carolina One Real Estate. This home grossed over $27K in rentals for 2018. Hurry! MLS#18031811. Edisto Sales & Rentals Realty. Wyndham Ocean Ridge - The Jenkins Street Gate is just MLS#18030597. Edisto Sales & Rentals Realty. 2017 Rental Income: $21,749.00; 2018 Rental Income: $20,401.00; 2018 Homeowner's Insurance: $1,019.14; MLS#18029267. Carolina One Real Estate. Come see this top of the line renovated home and start making memories with your family. MLS#18028846. Atwood Vacations. Enjoy beautiful ocean views and spectacular sunsets. MLS#18028387. Carolina One Real Estate. The kitchen bar is whimsical and ready for snacks and more.Great rental! Turns on Sundays. MLS#18026116. Edisto Sales & Rentals Realty. Wyndham Ocean Ridge - Wyndham amenities include beach cabana, three pools, miniture golf, exercise room, and tennis. Furnishings negotiable. MLS#18024448. Edisto Sales & Rentals Realty. 4th row - easy beach walk. Hurry! Show Saturdays 10-3 MLS#18018253. Edisto Sales & Rentals Realty. With gorgeous custom details, this third row home is just steps from the beach. MLS#18016657. The Cassina Group. These statistics are updated daily from the Charleston Trident Association of REALTORS® Multiple Listing Service. For further analysis or to obtain statistics not shown below please call Highgarden Real Estate at 843-547-5078 and speak with one of our real estate consultants.